This is the second part of "Creating advanced coupon campaigns" series. 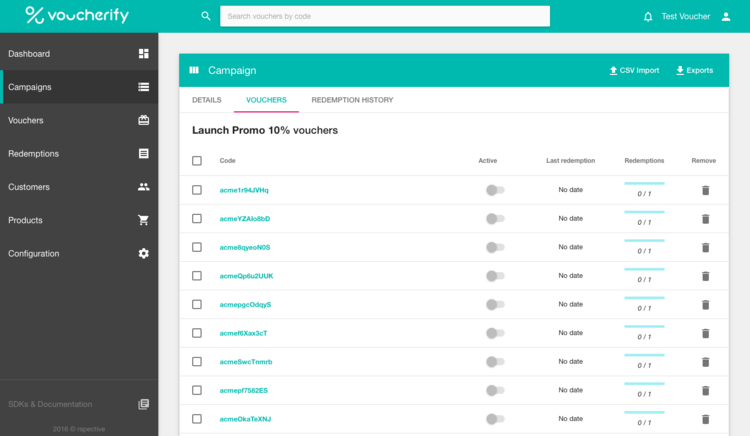 Last time we described how to launch various coupon campaigns. Now imagine that your coupons and vouchers have been given away and customers visit your store to redeem them. At this stage, it’s critical to ensure a great coupon redemption experience - this might be the go-no-go moment for your shoppers. Strangely enough, one of the key parts of this process is just a little part of your website - a coupon code input box. E-commerce experts claim that this little widget should be designed with great care because it may cause a huge impact on your overall conversion rate. In this article, we put together a few tips on how to build a seamless redemption experience and how you can avoid the most common coupon box issues. 6 years ago, Linda Bustos from GetElastic blog described a few to-the-point problems that disturb the redemption experience. You should take a moment to read it first because it gives the rationale for the following information. In general, the issues arise from coupon misuse and suboptimal promo box design. Linda lists 6 ways to overcome them, however, when we analyzed modern-day e-shops, we noticed that some of them still don’t have these issues addressed. We suspect this results from the high costs of implementation, especially in some of the legacy e-commerce software they use under the hood. Fortunately, you can fix all this with Voucherify. Within the following paragraphs, we’re going to show you how Voucherify can support Linda’s tips. Or, in other words, show the promo box only to users with the link. Imagine that a customer arrives via an affiliate link or email with a promotion. In this approach, the URL includes a parameter indicating the shopper has a promo code. The job of your store software is to check whether the code is a valid one and to display the promo box. Other customers don’t see the box so they don’t get confused. Create a standalone promo code in the admin console. (A standalone code is a public code, e.g. ACME4FREE, we described this type of campaign last time). Embed it in the URL of the landing page you push out to shoppers. When a customer visits your landing page, the website immediately verifies if the URL code is valid and shows the promo box. That’s it! Now, let’s see how to put your unique codes inside Voucherify widget. By placing this subscribe/sign up form on your landing page, you can capture customers' data (emails, phone numbers, etc.) in Voucherify and share unique codes in exchange. Each new subscriber gets the unique ID assigned to their data and can be viewed in your dashboard. Place the JS script at the end of your landing page <body> tag (In case you need help with that, see the Widget Installation). In the next step, you can add the subscribe form by placing a widget iframe on your landing page. Now, you can change visible and required fields to customize your widget and add your campaign of unique codes. When the widget is ready, you need to save your edits and republish the page. From now on, your customers will be able to pass their data to your Voucherify account, and you can see them in your GUI. Don’t be surprised when your codes leave the intended channel. Nowadays, it’s barely possible to avoid so-called coupon search leak. On the other hand, unique, one-off codes are a pretty straightforward solid solution to this issue. The only thing you should remember is to make them hard to guess and be aware of common bad and good practices. As mentioned in the previous article, in order to handle this scenario we created a unique series of coupon campaigns. With our campaign creator, it boils down to just a few clicks. Here’s a tutorial on how to achieve it. A coupon in exchange for an email address sounds like a fair deal to us. Let’s see how to embed this feature into your store. The subscription widget is quite easy to implement, e.g. with Voucherify widget, however, the coupon publishing can be the tricky part. You’d probably want to issue a unique code every time a new customer submits an email address, right? Guess what, Voucherify handles this scenario nicely too! Create a big enough unique coupon campaign, say 5000 codes, dedicated only to subscribers from your website. You can leave the expiration date unset so the codes never expire. When a shopper fills in his or her contact info, you call the publish method providing the name of the campaign as a parameter. The publish method is a special method within the Voucherify API. It returns a unique code from the given campaign and then marks it as used. Thanks to this approach, we can be 100% sure it won’t be sent to other customers. Now you can show the code to the user. Or, instead of displaying the code in the store, you can send it via e-mail to the submitted e-mail address to confirm its existence. We really like the idea of displaying codesbefore shoppers' resort to Google or other coupon aggregators. You can even build the subsite that lists the coupons quite quickly. But the issue we see here is that it can quickly become obsolete. In the long run, this means outdated coupons and, therefore, discouraged shoppers. Voucherify has a nice way of keeping the coupon site up-to-date without the need to change a store’s source code every time a coupon is created or disabled. It comes down to using the CATEGORY field in the coupon wizard. Then, you can wire your store engine in such a way that every coupon with, for example, a “public_promo_codes” category lands on the website. 1. When creating standalone coupons, remember to define “public_promo_codes” category. It has the “public_promo_codes” category assigned. This can be achieved using the List Vouchers method in the Voucherify API. As a result, you get a dynamic way of controlling which coupons, and how many, users find in your store. Taking control of how shoppers redeem your coupons may require a little effort. Nevertheless, Lisa shows it’s worth the candle, especially if you can outsource the implementation burden to coupon software like Voucherify. In the next article, we'll show you how to monitor redemption tracking and calculate coupon ROI.